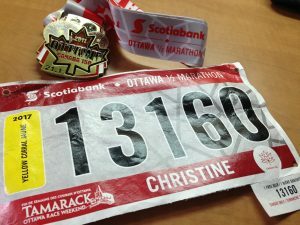 Race Review: Scotiabank Ottawa Half-Marathon (Canada, 28/05/17) – by HMRunner | JustRunLah! 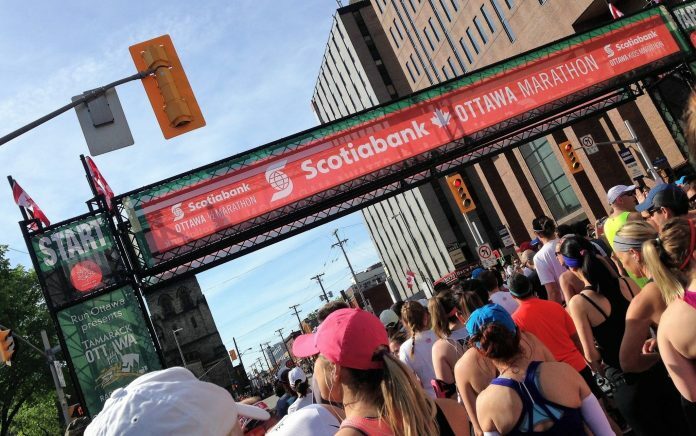 Scotiabank Ottawa Half-Marathon (with 13,475 finishers on 28 May 2017) is the most popular race category under the Tamarack Ottawa Race Weekend, Canada’s largest and most prestigious running event. And I’m glad to have fulfilled my dream of being a part of it this year. 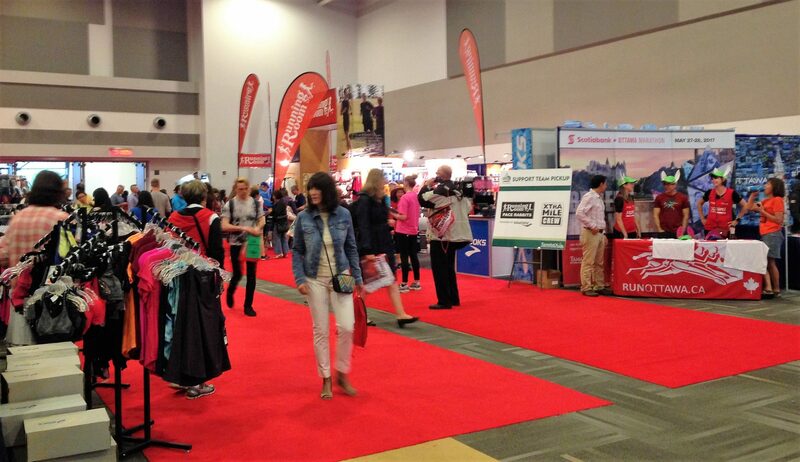 Expecting an international contingent of runners, the organizer offered valuable online tips and assistance on accommodation and travel. 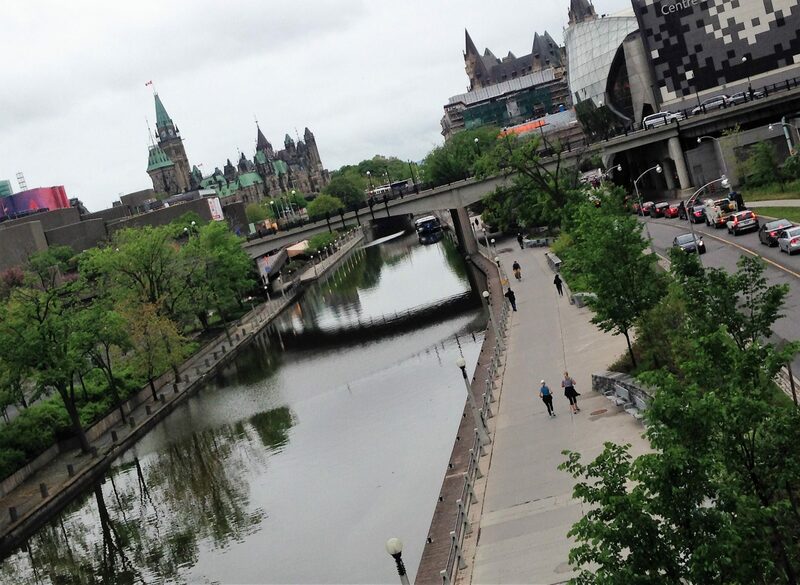 Based on pricing, amenities provided, location, and accessibility, I chose to stay in the residence of the University Of Ottawa – a place worth considering if you are visiting Ottawa regardless. As I was travelling from New York City after my Brooklyn Half race, I decided to pamper myself by opting for a one-hour flight to Ottawa (instead of making a coach trip that could take like hours). 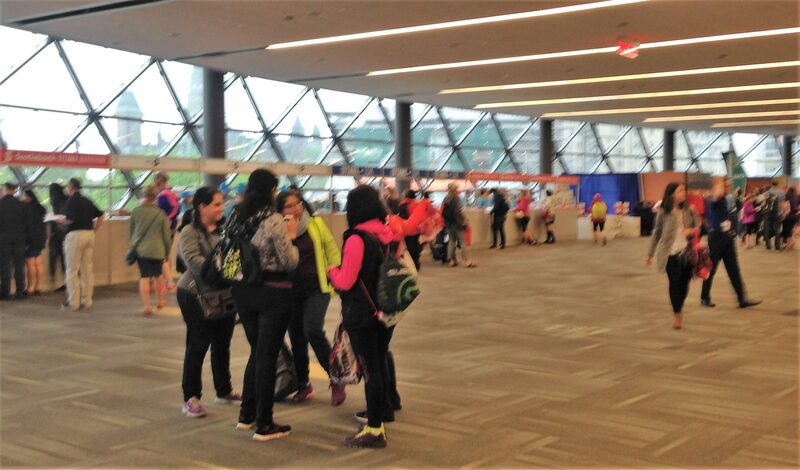 Race kit pick-up at the Shaw Centre (Colonel By Drive) was made easier with signs and volunteers’ direction and assistance despite the growing crowd on the first day of collection. This kind of reminded me of the SCMS’ REPC – swift and efficient. After the race kit collection, participants and their family/friends moved onto the Health and Fitness Expo where they were dazzled with an array of sports merchandise, including the official race merchandise. Much like Airbnb Brooklyn Half’s expo, visitors could purchase a finisher tee without completing the race (and so I bought a half-marathon tee for my sister). 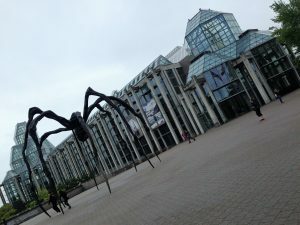 What most impressed me of the expo was its scale – it seemed larger than what is often seen here. Above all, I got to sample a number of protein bars and gels. Complimentary marathon route tours (with limited seating) were provided on the day before race day. 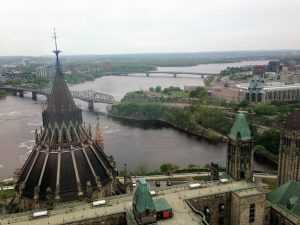 I opted to tour the city on my own instead, taking in the sights of neo-Gothic buildings of the Parliament and the iconic National Gallery of Canada. On my way back to the residence, I passed by part of the 5K race route and saw cheering crowds. I was impressed by how thoughtful the race organiser was in ensuring the safety and convenience of both the passers-by and runners (see photo). 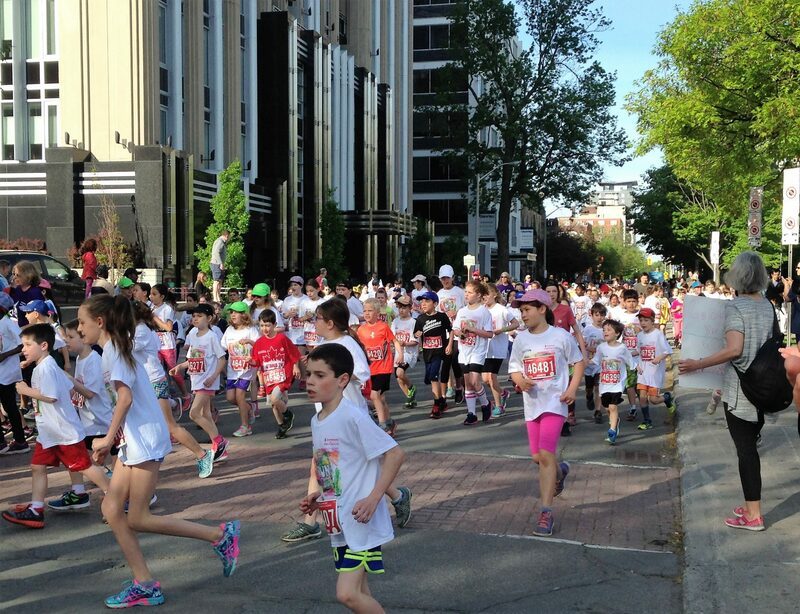 Walking to my race start point, I witnessed the flag-off of the kids’ marathon. The children took to task seriously about the race as their family members and other spectators (including myself) cheered them on. What a splendid sight! After leaving my bag at the bag check, I slowly made my way to my corral. Runners were waved off in corrals (of 6 different colours) every 2 minutes, based on their expected finishing time. 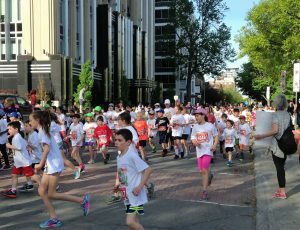 Marathon was flagged off at 7 am, followed by the kids’ marathon at 8 am, and half-marathon was the last race to start at 9 am. Starting off a race event with the singing of the national anthem seems to be the norm in the States and Canada. On top of the never-ending cheers from the enthusiastic spectators and passers-by both young and old, the logistical support was unparalleled with plenty of drinks (water and electrolytes) at every 3 km and cooling aids (such as wet sponges and sprinkling of water) at selected stations. 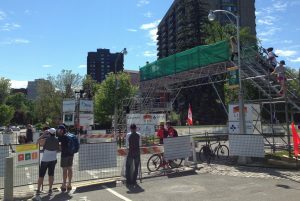 Such support was life-saving on the windless day at the unexpected 25 degrees Celsius (that felt more like 30 degrees). 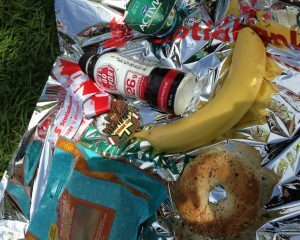 My reward for finishing the race – recovery food items and a medal. 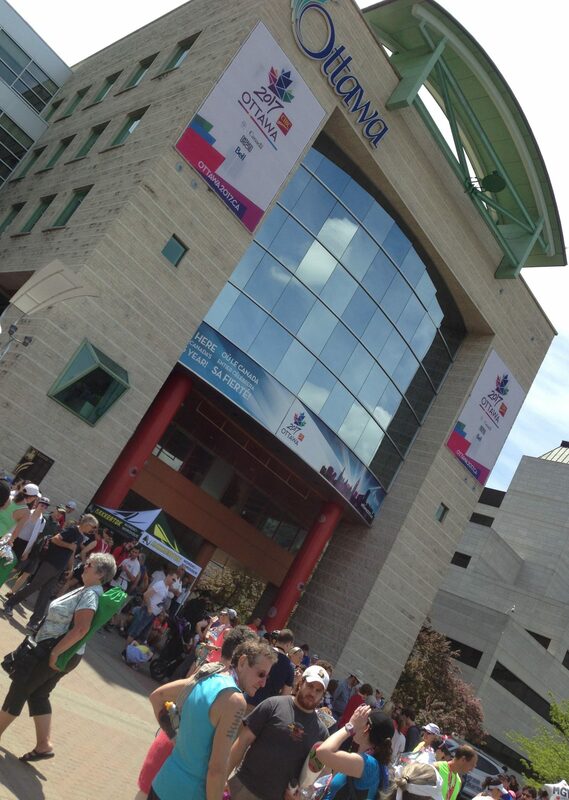 The end of the race also meant a time for runners to bond with family and friends as they gathered around Ottawa City Hall for more food, drinks and entertainment. Reward after race – recovery food items and medal! 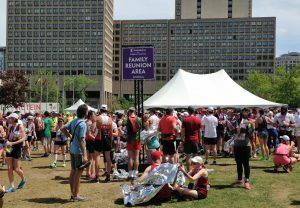 Great logistical support, including accommodation and other race-related advice. 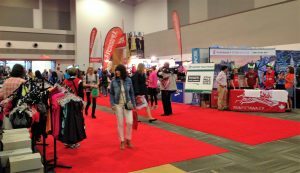 Regular entry fee of C$90 included a technical tee, recovery bag, medal and e-certificate (for race finishers), and logistical support. Was it too expensive? 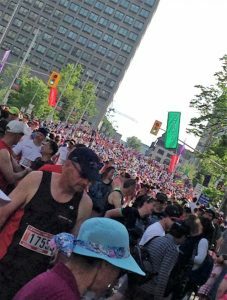 Established in 1975, Tamarack Ottawa Race Weekend is undoubtedly Canada’s largest and most impressive running event, with more than 43,000 participants in 2017. It is held on the last weekend of May every year in Ottawa, Ontario, Canada. Of its 6 race categories (Scotiabank Ottawa Marathon & Half-Marathon, 10K, HTG Sports 5K, Scotiabank Ottawa Kids Marathon, & 2K), the 10K and marathon categories are IAAF Gold Label road races, thus giving the Tamarack Ottawa Race Weekend the attention it deserves each year. Thanks for sharing. 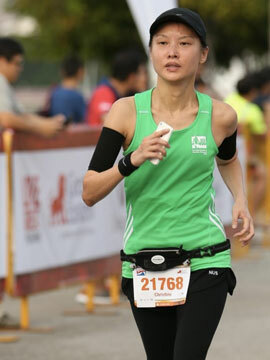 Nice to know that more and more Singaporeans are exploring overseas for running options. 2. Is the medal quality good? Thanks for your comment and questions. I certainly hope to run 1-2 overseas races a year. 1. May means warm or erratic weather in North America. It got really warm on my race day in Ottawa, but there were days when it was more chilly or cooler. 2. For the price runners paid, the medal was good in terms of design, material and size. Something many runners donned on right after the race! Do consider Ottawa Half Marathon (and/or Brooklyn Half) if you haven’t done so! Brooklyn Half is surprisingly more competitive yet more fun!